Parikkala is a municipality of Finland located in the province of Southern Finland and is part of the South Karelia region. Kick off your visit on the 11th (Sun): don't miss a visit to The Parikkala Sculpture Park, see the interesting displays at Lusto - The Finnish Forest Museum, take in the spiritual surroundings of Kerimaki Church, appreciate the history behind Savonlinna Herostatue - The Hero's Grave, then pause for some serene contemplation at Savonlinna Cathedral, and finally explore the historical opulence of Olavinlinna Castle. 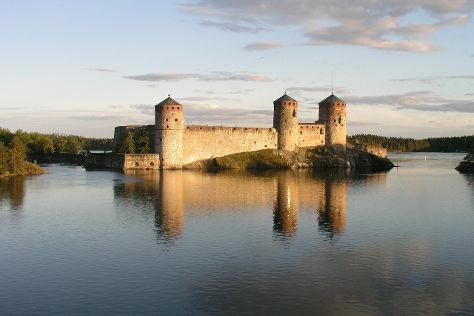 Get ready for a full day of sightseeing on the 12th (Mon): explore the striking landscape at Punkaharju Ridge, make a trip to Pikkukirkko, then browse the fresh offerings at Savonlinna Market Square, then pause for some photo ops at Olavinlinnan Musta Passi, and finally examine the collection at Savonlinna Provincial Museum. To see traveler tips, photos, more things to do, and more tourist information, you can read our Parikkala itinerary planner . Kolkata (Calcutta), India to Parikkala is an approximately 22.5-hour flight. The time zone difference moving from India Standard Time to Eastern European Time is minus 3 hours. Prepare for cooler weather when traveling from Kolkata (Calcutta) in November: high temperatures in Parikkala hover around 1°C and lows are around -1°C. Wrap up your sightseeing on the 12th (Mon) early enough to travel to Lappeenranta. Lappeenranta is known for historic sites, museums, nature, theme parks, and shopping. 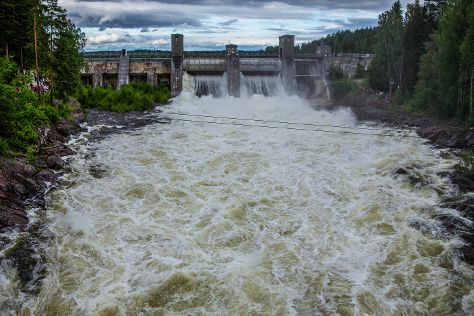 Your plan includes some of its best attractions: take in the dramatic scenery at Imatra Waterfall, contemplate the waterfront views at Saimaa Canal, stop by MyGoodKnife, and explore the world behind art at Lappeenrannan taidemuseo. To see traveler tips, other places to visit, maps, and tourist information, go to the Lappeenranta tour itinerary planner. Traveling by car from Parikkala to Lappeenranta takes 1.5 hours. In November in Lappeenranta, expect temperatures between 3°C during the day and -1°C at night. Cap off your sightseeing on the 15th (Thu) early enough to travel back home.